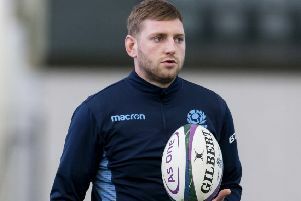 Scotland prop Alasdair Dickinson looks set to miss the start of the RBS Six Nations as he recovers from a foot injury he picked up while playing for Edinburgh in the 25-12 loss to Glasgow Warriors on Boxing Day. The experienced loosehead missed Scotland’s summer tour to Japan with a hamstring injury and will now almost certainly be ruled out of the Six Nations opener against Ireland at BT Murrayfield on 4 February. Vern Cotter will name his squad on Wednesday.